Once Forgotten Founding Father and Philosopher President Makes a Comeback…. Why? adapting Plato’s term, “philosopher king,” let us also call Adams our first “philosopher president” — the best we have ever had. All of these points make Adams worthy of admiration, but the last point makes him worthy of the fame he coveted and that we posthumously confer on him. And yet, from my experience in the classroom, I am not certain that most Americans are aware of his intellectual achievements. I will come back to the intellectual achievements of our philosopher president later in these remarks, but first let’s remind ourselves that, in the pre-David-McCullough world, John Adams was our “forgotten founding father.” If you go to Washington, DC — the city of great monuments to presidents — there is not a single statue of John Adams. His absence in Statuary Hall is especially conspicuous in light of the statue of his cousin, Samuel Adams, and the marker where his son, John Quincy Adams, died at his desk. 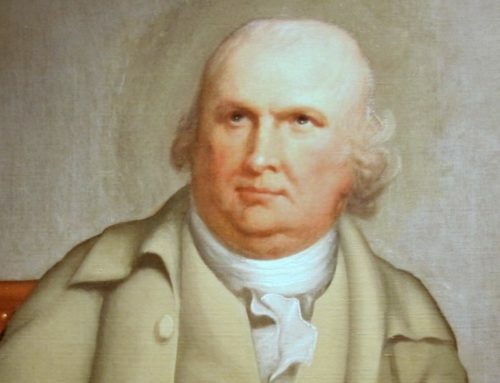 There is not a single statue of him in Philadelphia, even though he was the most ardent defender of independence at the Second Continental Congress. There is not a single statue of him at the U.S. Naval Academy, even though the first vessels of our permanent U.S. Navy were launched during his administration. The most prominent statue of him you’ll find is in his hometown of Quincy (Braintree), Massachusetts; yet even this memorial was erected just a few years ago, after McCullough’s biography.Adams himself predicted that he would be the forgotten founding father. To Benjamin Rush, he wrote with mock humility, “Mausoleums, statues, monuments will never be erected to me. I wish them not. Panegyrical romances will never be written, nor flattering orations spoken, to transmit me to posterity in brilliant colors. No, nor in true colors. All but the last I loathe” [John Adams to Benjamin Rush, March 23, 1809]. 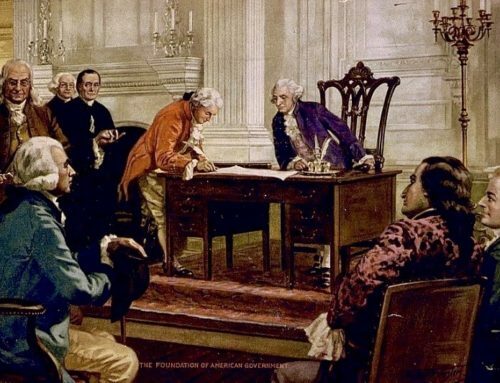 Why the neglect relegating Adams to the founding fathers’ back bench? One explanation is that his presidency was shoe-horned between two very dominant figures — George Washington, the indispensable man who became a legend in his lifetime, and Thomas Jefferson, who was not keen on rehabilitating Adams publicly. Moreover, Jefferson and his party enjoyed longevity in contrast to the Federalists, who would soon die out as a political force. Jeffersonians set the nation’s political agenda for more than two decades following the Adams administration. For many decades, the New Englander got lost in a Virginia crowd. And even though John Adams’ son, John Quincy Adams, won the White House in 1825, he also was a one-termer. The Adams name again went into decline because Andrew Jackson booted JQA out of the White House in 1829. The succeeding “Age of Jackson” was not friendly to the Adams brand. As a consequence, the reputations of our 2nd and 6th presidents suffered in the popular imagination. Tides do rise, and John Adams’s reputation started to rise a half century before McCullough’s biography. In 1953 Russell Kirk canonized John Adams in his magnum opus, The Conservative Mind, arguing that of all the patriot founders, it was our second president who best understood history, constitutions, and the consequences of ideas. Kirk realized Adams’s intellectual achievement was one key to any fame posterity would confer. Two decades later the musical 1776 came out, and it was not Washington, Jefferson, or Franklin in the limelight, but the brainy delegate from Braintree, Massachusetts, who took center stage. In the movie that followed, Adams’s irritability was turned into a clever device to make him more human and approachable than he otherwise would be. Also during the Bicentennial celebration, PBS aired a 13-part series called the Adams Chronicles that presented 150 years of the family’s history and fetched many Emmys. And then McCullough’s masterpiece came out in 2001 and brought about a historiographic revolution, a paradigm shift in the way we regard America’s founding fathers. Adams waxes, Jefferson wanes. As of this writing (June 2011), according to amazon.com, McCullough’s Pulitzer Prize-winning biography of Adams is the 9th-most-purchased book on the American Revolution, and the 14th-most-purchased book on US presidents. And the HBO production based on McCullough’s book is the 4th-most-purchased miniseries on the site. The book’s splash caused more than a ripple. The historian Gordon Wood, who is currently editing a collection of Adams’s papers for the Library of America series, observes that Washington and Jefferson got only one volume each of their writings, whereas Adams is getting four volumes. This essay is the first in a series on John Adams. The Adams series served as the basis for my talk accompanying the exhibition, John Adams Unbound, organized by the Boston Public Library and the American Library Association. The talk was given at the Loutit District Library, Grand Haven, Michigan, on June 30, 2011. This Adams series is posted on July 2 because he thought that was the day our country’s independence should be pondered and celebrated. For more on presidents and leadership, see AllPresidents.org.